Home » Environment » Know how to risk assess a tree and how to operate a chainsaw properly? Over the last five years, 12 people have suffered a fatal accident arising from the use of chainsaws or tree felling work activities, according to the Health and Safety Authority (HSA). 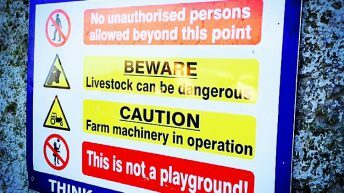 The Teagasc National Farm Survey indicates that about 6.5% of all injuries, in the Agriculture and Forestry sector, are chainsaw or wood related. This indicates that approximately 120 serious injuries occur each year. 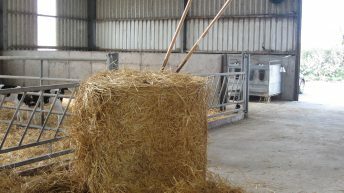 Self-employed farmers, farm workers and contractors are particularly at risk, the HSA says. According to the HSA, persons who only use chainsaws occasionally and may lack the training, experience and knowledge required for certain tasks. Chainsaw injuries involve cuts and lacerations to the limbs, neck, head and trunk and the HSA stated that the major cause of timber related fatal accidents is being struck by falling trees or branches while felling trees. Appropriate training in chainsaw use and the wearing of suitable protective clothing to protect against these injuries is essential, it said. If you find you cannot meet the competency/training requirements or don’t have all the personal protective equipment for chainsaw work activities, then you must engage the services of a competent chainsaw provider, the HSA stated. Risk assess the tree and check for overhead lines. Check for broken tree tops and assess the lean of the tree. Decide on the direction the tree is going to fall in and cut a 10% hinge on the tree. Once the tree is on the ground, risk assess to see if it will stay there. Clear any undergrowth likely to interfere with the operator and the chainsaw and remove any dead material that could catch fire. According to the HSA, wearing the proper personal protective equipment is important when using a chainsaw to fell a tree. To protect against serious life-threatening injuries, it is very important that suitable protective clothing and equipment is worn when using a chainsaw, no matter how small the job, the HSA has said. Using chainsaws also exposes operators to high levels of noise and hand-arm vibration which can lead to hearing loss and conditions such as vibration white finger, it said. However, it is important to understand that PPE doesn’t protect you against falling trees and the HSA advises that chainsaw operators should refer to the manufacturer’s handbook for safety instructions and advice.